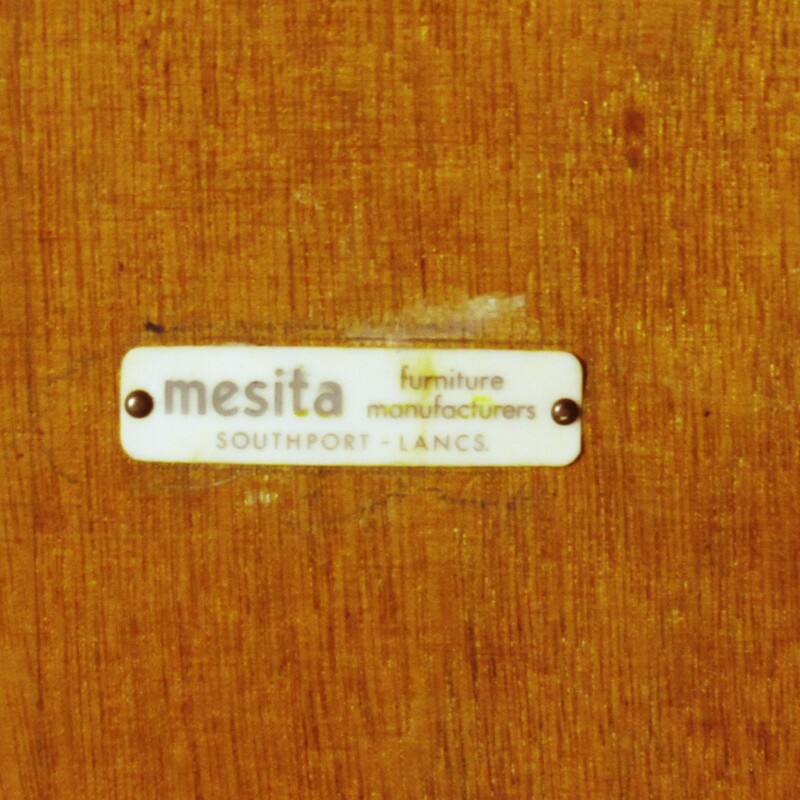 This is a piece of furniture manufactured by Mesita Furniture of Stockport, England. 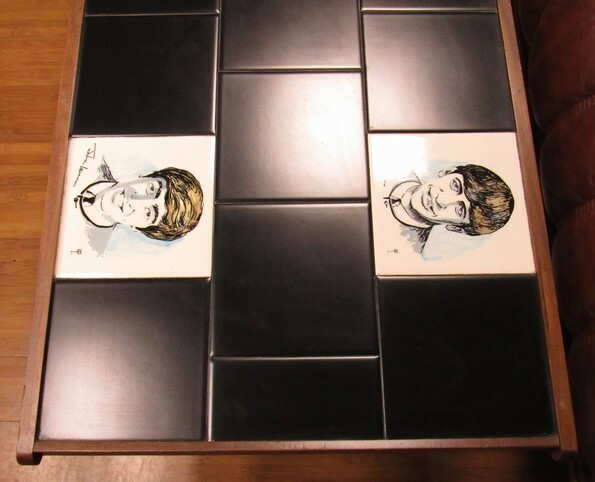 They have used licensed Dorincourt Potters tiles to manufacture a piece of furniture, contrasting the mainly white Beatles tiles with simple black tiles. 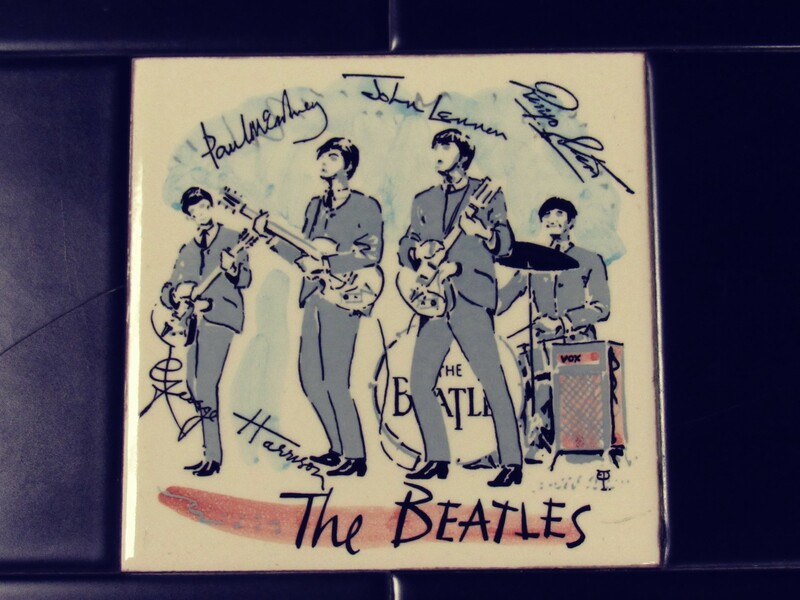 As they were utilising a licensed product, the royalties were being paid and so it was a neat way to get on The Beatles merchandise bandwagon. 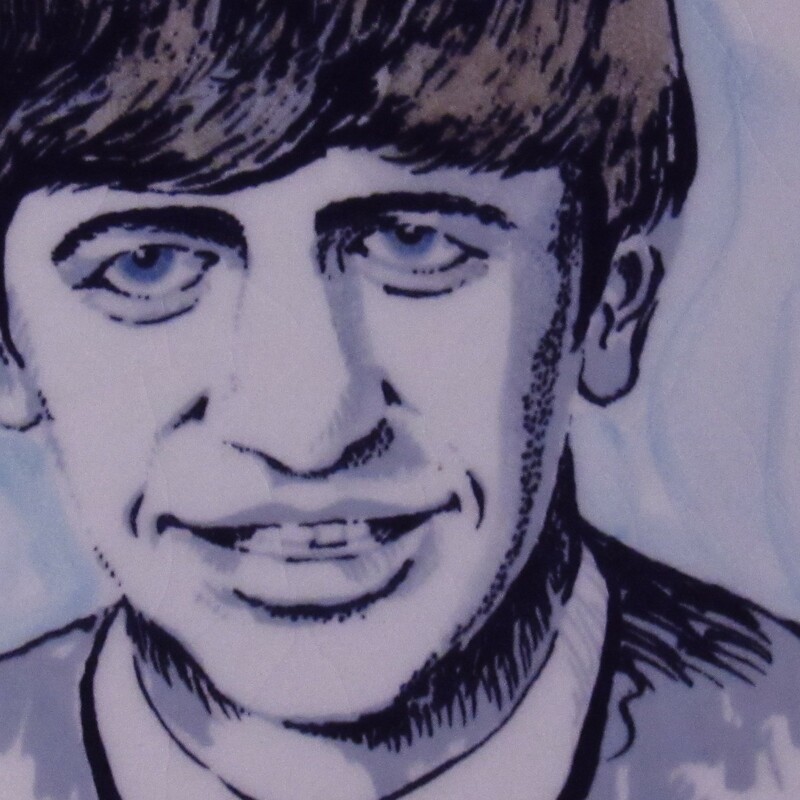 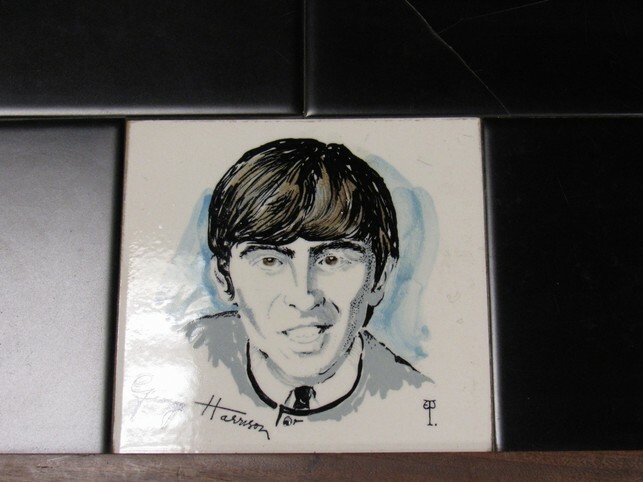 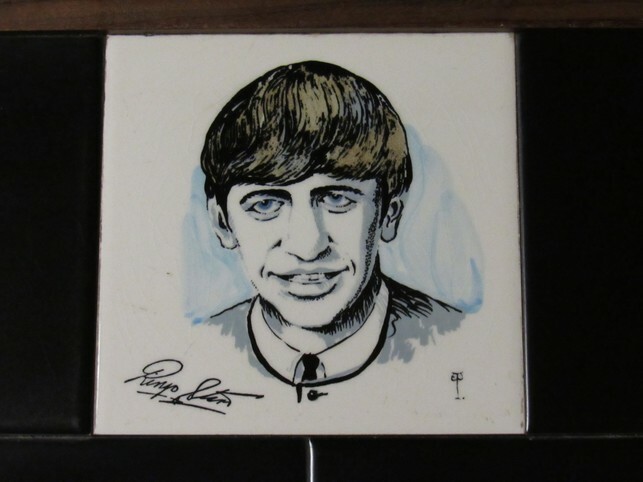 An original set of 5 ceramic tiles featuring The Beatles have been set in to the surface of the coffee table. 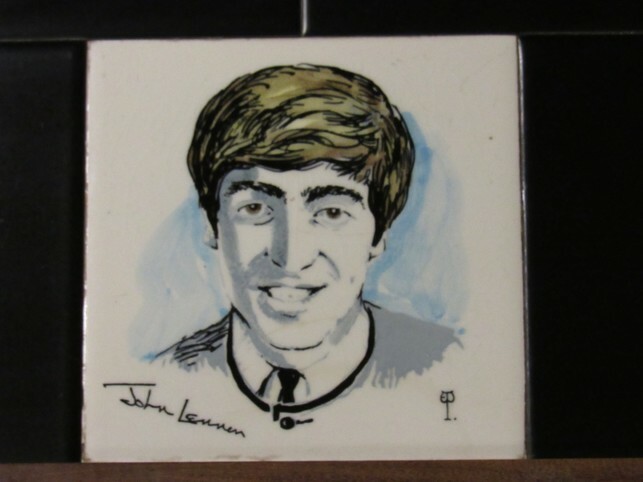 The tiles measures 15cm x 15cm or 6 x 6 inches. A set of five Dorincourt Potters tiles is worth around £1,000 alone. Note that the item is ideally suited to a UK buyer as shipping could be very expensive for a foreign buyer. 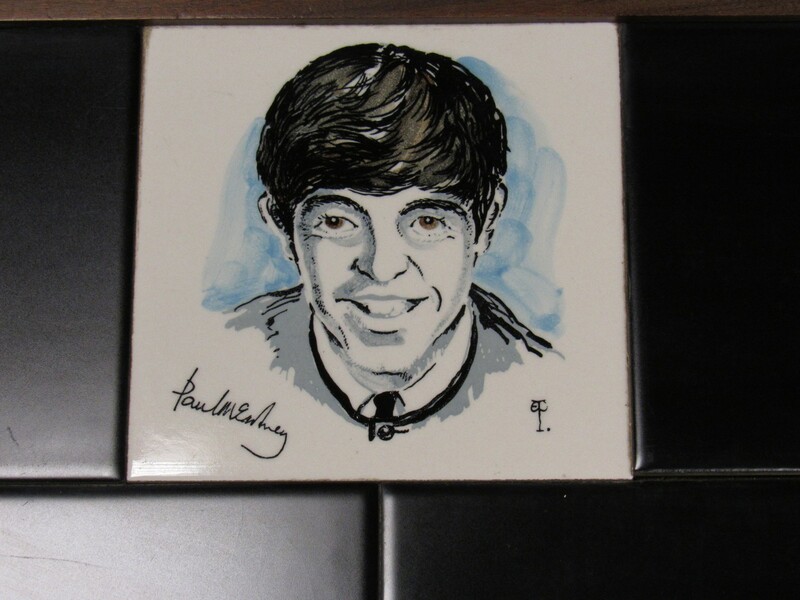 Foreign buyers aren't precluded from buying this item but will need to organise shipping. The legs screw off, so it is a just a matter of the weight of this item. 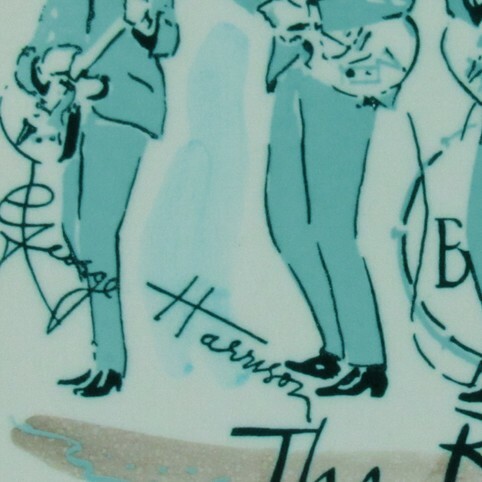 I'll provide the weight shortly. 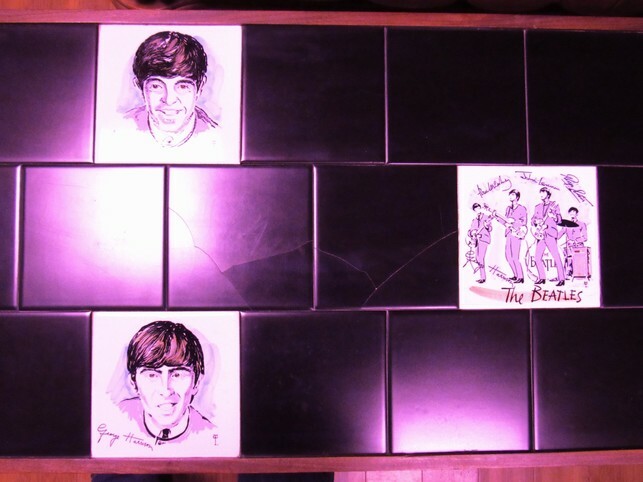 Excellent condition, except for a few cracked black tiles, which can be seen in the photograph. 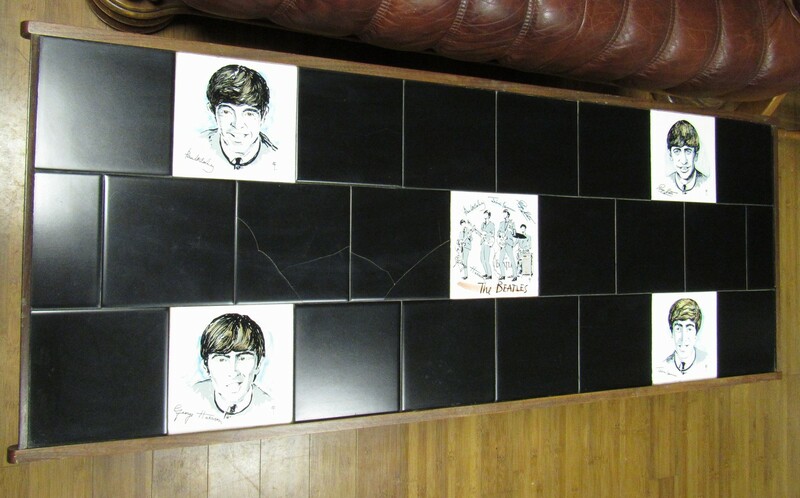 The Beatles tiles are in perfect condition.